Hearing aids can take some getting used to. As well as adjusting to the new day-to-day change of wearing them, you have to get into the routine of appropriately cleaning your hearing aids to maximise their performance and lifespan. If you’re in any doubt on how to do this, here are some pointers to ensure that you’re cleaning your hearing aids properly. Before you clean your hearing aid, you must first identify what type of device you have, be it a behind-the-ear (BTE), receiver-in-the ear (RITE) or an in-the-ear (ITE) style. With BTE hearing aids, both the mould and the tube should be cleaned regularly – not the hearing aid device itself. To clean the ear mould and tube, simply detach the tubing and mould from the electronic hearing aid unit. Be sure to put the hearing aid unit in a dry, safe place while you concentrate on cleaning the mould and tubing. Once removed, soak the mould and tubing in warm soapy water for 10-15 minutes. You should then run it under the tap, ensuring the centre of the tube is thoroughly rinsed. Wipe the mould and tubing with a dry cloth or tissue and then leave them to completely dry out naturally overnight before using them again. You can also use an air puffer tool to aid the removal of excess moisture from within the tubing if required. TOP TIP: Do not blow through the tubing as your breath is moist, so it will simply add moisture back into the tubing. 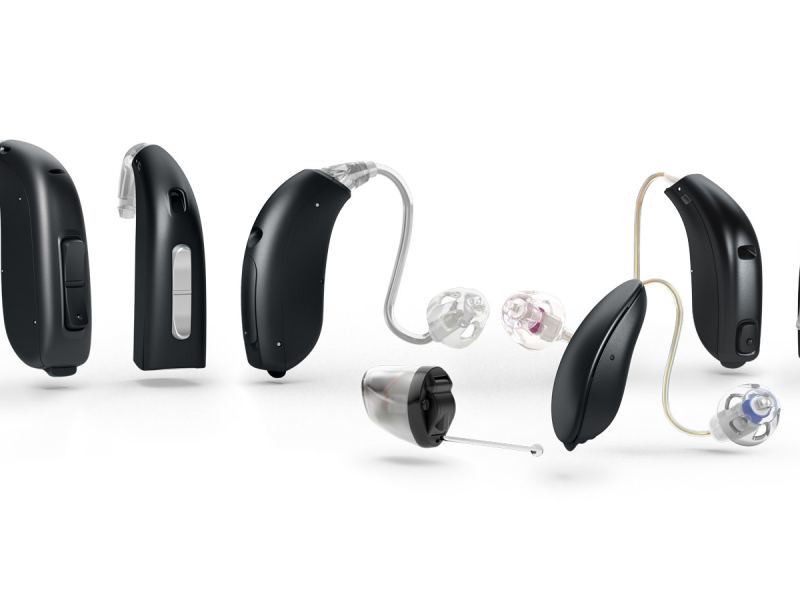 RITE and ITE hearing aids differ from BTE models. They should never be cleaned with liquids as their components are entirely electronic. They should therefore be cleaned with a dry cloth and cleaning brush instead of water. Both RITE and ITE aids usually come with a wax prevention filter system and their own cleaning tool, so be sure to use this to remove and prevent any blockage/wax build-up and to replace the wax prevention filter system if it becomes blocked. Try holding the hearing aid so it is downward-facing whilst you are cleaning away debris, as this will allow any loose particles to fall out naturally and reduce the need for intrusive probing with your cleaning tool. TOP TOP: If your RITE or ITE devices suddenly stops working, and you are sure that the battery is fresh, then try changing the wax prevention filter system at the end of the hearing aid. More often than not this will fix the issue. It is essential that you clean your hearing aid regularly, daily if possible, and change the tubing when required (tubing should be changed at least every 6 months on BTE models). Failure to do so could result in a blockage, which can lead to a deterioration in sound quality and hearing aid performance. Ear moulds can also discolour over time, especially if they are not kept clean. If you begin to notice a strong odour from your mould, have it checked by your Leightons audiologist as this may be an indicator of ear infection. If you are unsure about any aspect of hearing aid maintenance, be sure to contact a specialist for guidance. At Leightons our experts and audiologists are at the cutting edge of modern treatments for all aspects of ear health. Get in touch on 0800 40 20 20 for specialist ear and eye care advice, book an appointment online or visit your local branch.